Bernard Cheong Doctor Watches Life: Travelling back to 2003, so did you make money/wiser/grew ? Travelling back to 2003, so did you make money/wiser/grew ? How would you assess the popularity of watches as investments now and how has this evolved? The popularity per se has not changed. The market as a whole sees better and more liquid ways of increasing monetary values of their assets. This means shares and financial instruments. However, what has changed is that a privileged segment of the market divides investments into money separate from wealth. Possibly it is “cool” to be EDUCATED and YOUNG. And GREEN. Noting that R Buckminster Fuller said “effective exploratory investment (of the mind and one’s time) is to give man increased wealth”. EDUCATED. This includes broadly what Buckminster Fuller defines as “future influence”, which among them are education, perspectives, culture and science.YOUNG. 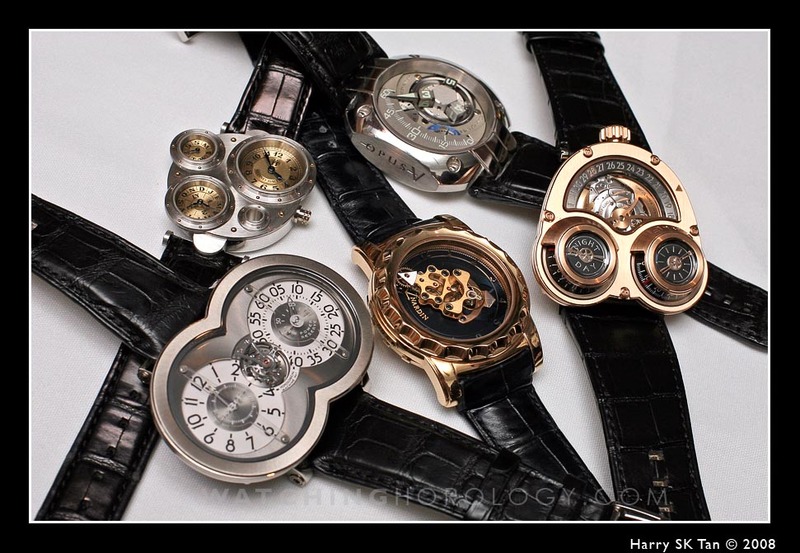 These and occasionally money, are increased with a passion for understanding complex watches. Why? Because the watch are among the rare surviving machines that need neither electricity nor fossil fuel. GREEN. What are the factors affecting investment potential/value in watches? The market for rare, labor intensive watches are growing at a rate that can be measured by the number of used and grey market watch dealers that have sprung up both as brick and mortar shops and as internet shops. The growth is exponential. 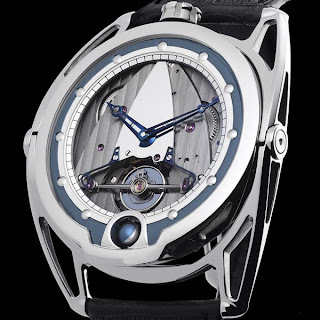 The demand has not even begun to grow…the industry is still tapping only “known” markets…I am not speaking of geographical markets, but of intellectual ones….at this point, there are CEOs and PhDs walking around who do not know of Dufour, Vianney Halter or MB&F. It is like finding a chairman of a listed company who does not know the differences between basic red and white wines…the education has not even begun. THAT is the situation for 95% of the population in FIRST world economies..As far as watches are concerned. The education is growing at a rate faster than the supply of good watches. It may mean that within the next 5 years, just as the economy is robust, the demand for the good stuff will be incredible. By then, many unknown names may be highly sought after. Established names will have a bigger market of the commercial segment, with the small makers cornering the ultra high market, similar to supercar makers of today. If one is looking to invest in a watch, what sorts of watches should you look at (in terms of brands and/or features?) Which of the brands are ‘foolproof’ investments – and why? To answer that, one must frame the mind and then look at it from the perspectives of other disciplines of music, art and wine. There will always be new music, new art, new dishes of food. Watch collecting is exactly like that. Once understood, it is very absorbing…like in classical music and fine wine. With very different and complex dynamics, but equally or more intriguing. Most people see only the superficial aspect of collecting. Limited editions! In reality all products that are unique are limited. Hence, one must search first and foremost for a product that is unique, or is not to be replicated at lower cost. That may be the ONLY worthwhile factor. The other factors are moot points. How and why do investment watches retain or increase their value over the years? Now...this article is a copy of an interview made in 2004 or so...look at the prices today, and then when you asked in 2004. Retain value: if they continue to be exclusive, rare, cool (don’t forget that they have to be worn), and cannot be replicated. Increase value: rare and cool. Those are the absolute factors. Well, one can say that the definition of investment watches is a moot point. The public, or even “old hands” at investment watches will say ONLY PATEK PHILIPPE and ROLEX can be investments. I don’t disagree with the selection of these 2 brands…BUT I disagree with the EXCLUSIVITY of all other brands or makers. In fact, if you look at cars, art, wine, property, musical instruments and my favorite…TEDDY BEARS, you will see that those people who picked “blue chip” pieces are right in their estimate of returns. BUT they never make hit the “home run”..ie the the small maker that CANNOT be a blue chip stock because it is NOT “publicly listed on the main board”. How do men’s and women’s watches compare in investment potential? The watchmakers are MOST definitely not making EXCLUSIVELY male gender watches. They make women’s watches. They make watches…for BOTH male/female. Henceforth, non gender watches, or to the uninitiated, “male” watches are superior. Which are the women's watches that are worth investing in? Lange Arcade in small size. Rolex Yachtmaster “boy size” platinum steel. Rolex GMT “Pepsi Cola” in sapphires and rubies. How have the value of women’s watches evolved over the years, what are the factors influencing this value? Not as fast as men’s. Men buy toys. Women buy jewelry..those are the factors. Women see art, recognise it, faster than men. Women are NOT interested in complications (majority at least), hence the marketing bounces off their brains. What’s the status of the investment value of women’s watches today? The watches that women have bought…they have not entered into the resale market YET!!! Today, one sees the watches men have bought for their mistresses, ex wives etc…or women who have dumped unwanted pieces into the resale sector. BAD values. What about independents – are they worth investing in? Why/why not? Independants?!?! Of course they are good…just PICK the right one. Unlike brands, independents don’t market or leverage on their brand..they sell their work. So..some will sell you fake work. Some will sell real work. The real work..you have to pick the GOOD stuff. AND..as in supply/demand, they will deliver BETTER margins. that is the writer here is a known colllector and figure in the watch industry. The thing is that he is asian. 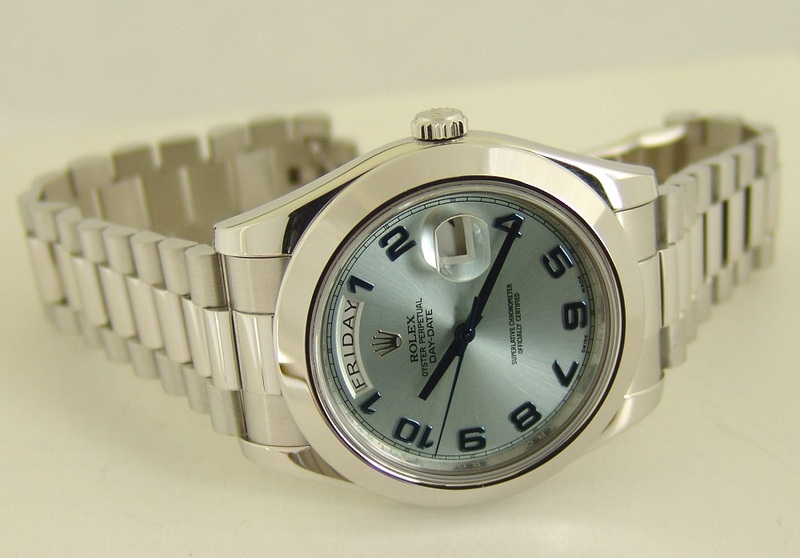 And Rolex is the most difficult watch to authenticate. I have seen this man at work, examining a watch in Malaysia in 2010, and he is very good at what he does. He is a doctor and probably a specialist of some discipline, which makes him a formidable expert. 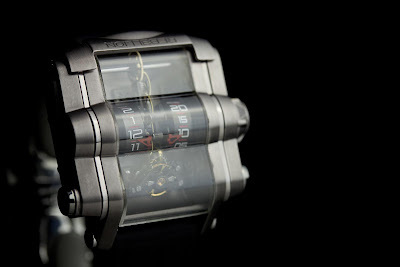 the Rebellion T 1000 is awesome!! Really a great watch superb!! Unfortunately back in 2003 I did not know/read your advertise, for this reasons I'm now following your blog as much as I can!